A hot tub is a large tub or small pool full of water used for hydrotherapy, relaxation or pleasure. Some have powerful jets for massage purposes. Hot tubs are sometimes also known as spas or by the trade name Jacuzzi. ... Hot tubs are usually located outdoors, although they can be installed indoors. We are provider of Jacuzzi Hot Tub. Jacuzzi hot tub reminds the relaxation experience social and private. It also reminds fun and cheering moments of life. 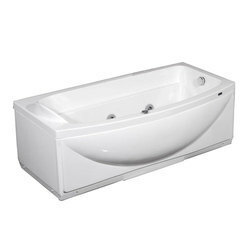 Whirlpool tubs is made under strict supervision of expert professional by utilizing optimum quality raw material and sophisticated technology in accordance with the quality standards. Offered range is appreciated for long functional life and other unmatchable attributes. This product is well tested on various quality parameters by skilled personnel for ensuring quality and flawlessness. Jacuzzi hot tub reminds the relaxation experience social and private. It also reminds fun and cheering moments of life. 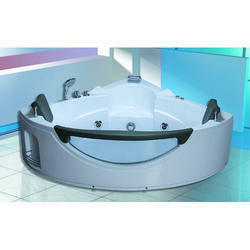 Jacuzzi hot tub not only brings the health benefits but also relieves sere, improves sleep, soothes muscles and joints.